I was thinking of getting a folding step like the ones on a school bus that are used to adjust the drivers mirrors. I was thinking of mounting it near the middle bathroom henge. 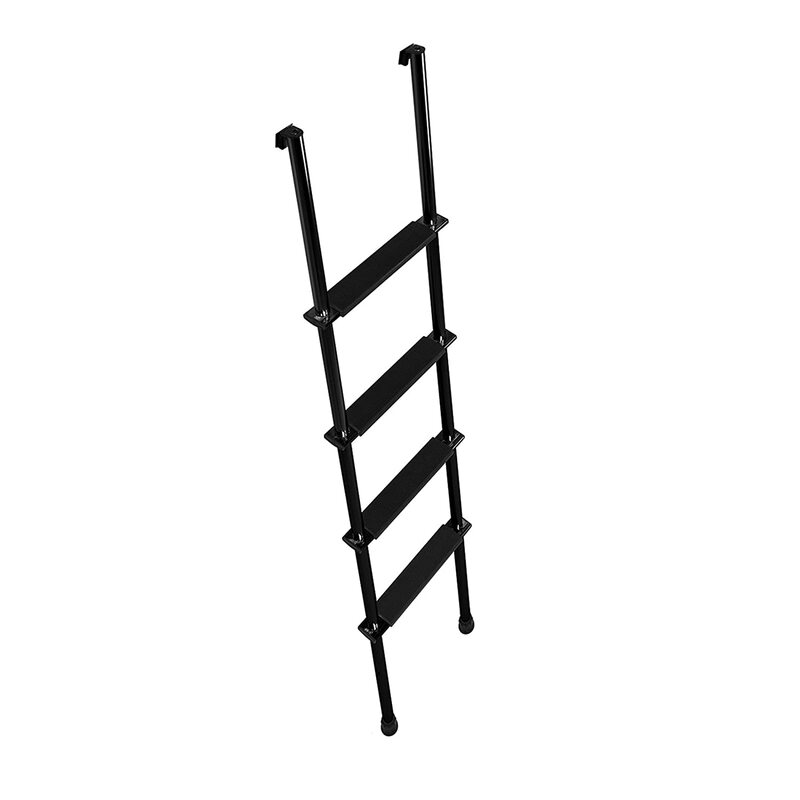 Possibly a PVC ladder. I guess it depends how much space you have or want to take up. We have the 264BH also and have the same dilemma. There is really no space for a ladder, plus the fact that the top bunk is curved and doesn’t allow a flat place to secure it. I like your idea of the folding step. I just wonder if there is something there sturdy enough to attach to that will support the weight? I’m definitely going to look into it. That’s the best idea I’ve seen yet. We have a 24mbh and we put a rope ladder to help the kids gain some leverage getting up to the top. We use a carabiner clip to attach to the handle up top. We like that it can easily be stored in the bunk when traveling and it doesn’t take a lot of room or block the bathroom door. Will send a picture tomorrow of it. Blessed family of 4 & 2 pups. Built this for my 31fs. It lifts off and stows in bunk when traveling. Both of my bunks are curved I’m not sure how a solid ladder would work. That rope ladder looks neat. We built one with untreated 2x4 and put coat hooks at the top to grab the curved part of the bed. We throw it on the top bunk when it's not needed. I still need to cut the bottom on an angle so it sits flush on the floor.. And maybe put some of the floor protector felt that is used on furniture. I can't imagine there is any place in your TT that has enough support, to support a step like a school bus has. That's a lot of weight on one small location. You'd need to add a lot of support behind the step. in our Motorhome to get onto the cabover bed. We did not permanently mount the ladder, just used as needed. It was thin enough that it was easily stored near the cabover, but out of the way. Our bathroom door hinges where I want to mount the step do you think there’s enough strength there. Or maybe I could sister a 2x4 along the door hinges. And mount the step there.